Get your hands on this witcher inspired wild hunt t shirt, before you go hunting down those monsters in the jungle. Remember those cute explosive barrels placed around those harmless npc's that you shoot once and everything goes booooom !! Well now, be one yourself. The force is strong with this one. - Master Yoda. Wear this star wars t shirt and get the force on your side. Its yoda certified. 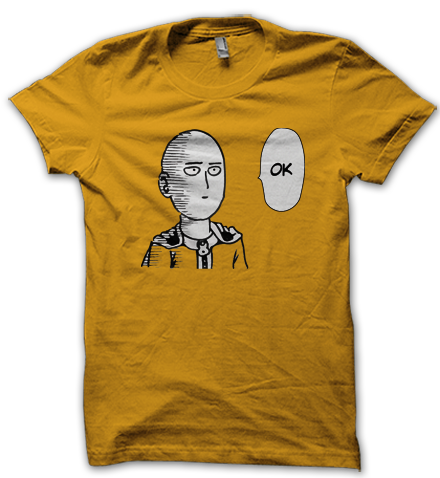 We can't give you saitama's powers, but his attitude is the closest thing that you can get by wearing this one punch man t shirt. The most popular drink of the wasteland, now printed on a t shirt for you to wear and show your support for the post apocalyptic world and the vault boy. Never forget the vault boy.. Wear this pokemon t shirt and get ready to hear people around you yell I chose you Pikachu. Also don't forget to say Pika Pika. Dedicated to all those losers who never buy defusers. Always remember to wear this t shirt to a counter strike tournament as a reminder for you know who. 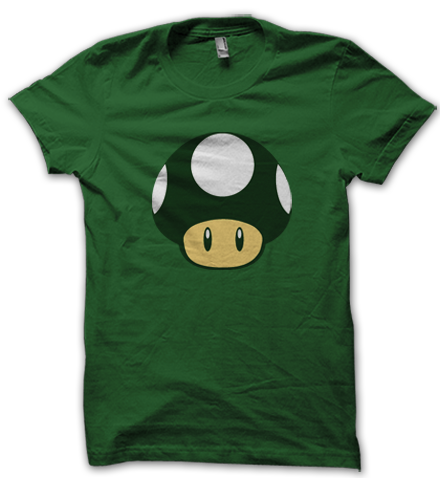 On the purchase of this mario one-up t shirt you get an additional you! We shall not be held responsible if after wearing this pokemon t shirt you somehow evolve from charmander to chairzard and become a lazy bum. 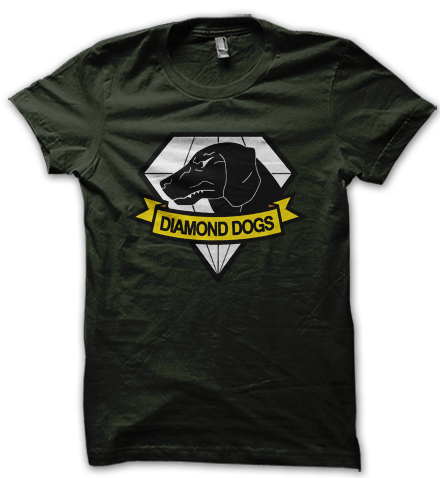 True diamond dogs wear this metal gear solid t shirt. Are you one of them? Be a codemonk. Code just like an oldmonk would. 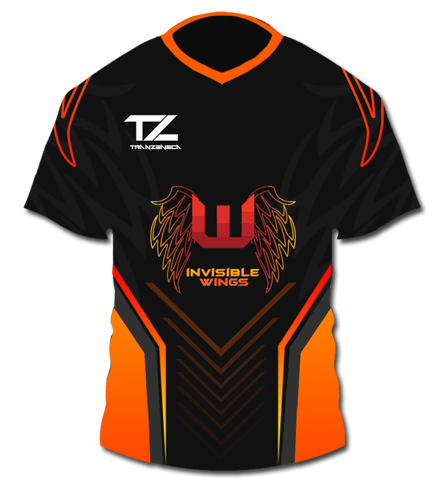 Show your support for team invisible wings by sporting their official jersey. These orders are fulfilled by the team invisible wings themselves. Best power up in the history of video games. Period. Your favorite weapon ak 47, with your favorite map de_dust 2, need more reason to wear this counter strike t shirt? Well how about watching the world around you bite de_dust as you bask in your geek glory. Wear this t-shirt and be a part of one of the most feared, as well as respected enemy league known to mankind, the akatsuki..
kaa-mee-haa-mee-haaaaaaa !! Get this Goku inspired dragon ball z t shirt with Master Roshi's symbol in the front and King kai's symbol in the back. Requiescat In Pace - Ezio Auditore da Firenze. The one quote thats really difficult to forget once you finish the the best game of the assassins creed franchise. I convert caffeine into code. what's your super power? 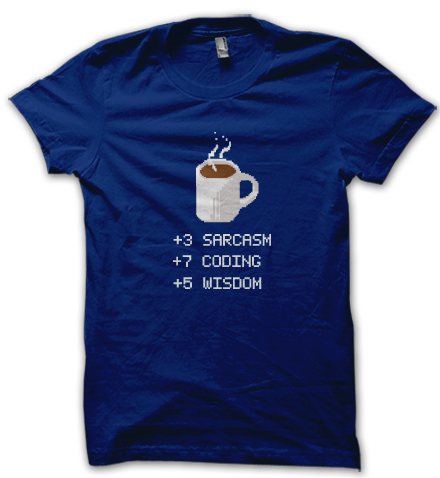 Wear this caffeine powered t shirt and enjoy the new you with enhanced stats.